When most people hear the phrase “oral surgery”, they are instantly anxious about their condition. Oral surgery, also referred to as oral and maxillofacial surgery, focuses on diagnosis and treatment of the head, neck, face, jaw, and the hard and soft oral tissues. Oral refers to the mouth; and maxillofacial, the jaw and face. At A Plus Dental, our skilled oral surgeons perform a full range of oral surgery, which provides solutions for many dental issues, as well as improvement of performance and aesthetics. Oral surgeons are different from dentists. They are specialists with four-year degrees in dentistry ,and have taken at least four years of hospital oral and maxillofacial surgery residency. This residency program includes training for anaesthesia and pain control. If your dental condition requires an oral surgeon, this means that a specialist is needed to better treat your case. Removal of impacted teeth and administration of anaesthesia. 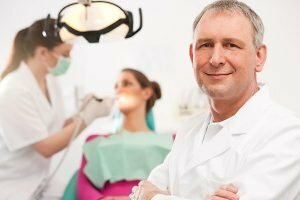 While dentists are also trained to remove impacted teeth, oral surgeons are specialists in the job. Extraction of problematic teeth and provision of anaesthesia can also be performed by oral surgeons. Placing dental implants is an intricate job that requires a skilled practitioner to perform. Oral surgeons participate in the planning and placement of implants. Bone grafting may be required along the way. Oral surgeons can reconstruct the bone holding the teeth, including the gum tissue surrounding it. Facial trauma often results from accidents, requiring minor to complex restorations, including skin lacerations, damaged facial and jaw muscles and bones, injured nerves and other injuries involving the jaws, cheek and nasal bones, eye sockets, and forehead. Abscesses, cysts and tumours in the mouth and face are also addressed through oral surgery. Those diagnosed with oral cancer need very close monitoring by a specialist such as an oral surgeon. Problems in the temporomandibular joint (TMJ) can be properly diagnosed by an oral surgeon. A surgery may be required to correct it. Correcting jaw and teeth defects to improve beauty and function is also covered by oral surgery. A sleeping disorder such as obstructive sleep apnea (OSA) may require a surgical procedure if non-surgical treatments (device and behaviour modification) are not effective. A surgery is needed to correct the form of the lips and palate. 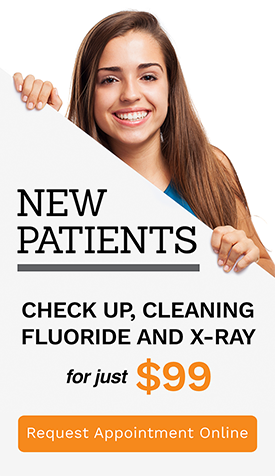 Our skilled and board-certified team ensures quality service for your dental needs in Campbelltown. If you need an oral surgeon, set an appointment with us right away.